CRS Lawsuit: Does FDA Guidance Require More Clarity? 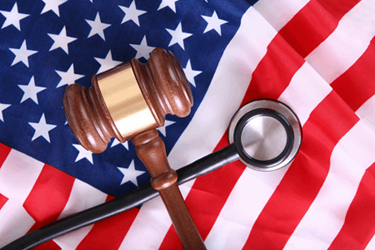 The recent announcement that the watchdog group Center for Responsible Science (CRS) has filed a lawsuit against the FDA has raised some concerns in the clinical research community. The lawsuit is regarding the denial of the group’s citizen petition, which was originally submitted in June 2014. Left unsaid are the obvious countervailing issues that compounds showing significant animal toxicity do not advance to human trials and that individuals who agree to participate in Phase 2 or 3 drug trials often have severe, advanced diseases that have been refractory to conventional treatment. Are new medical products safe enough to outweigh the risks related to the underlying condition? How effective is the medical product at relieving symptoms, treating or curing a condition? “The main purpose of clinical trials is to ‘study’ new medical products in people. It is important for people who are considering participation in a clinical trial to understand their role, as a ‘subject of research’ and not as a patient. As many investigators recognize, this comes back in a roundabout way to the concept of “materiality” that I discussed in my previous article. Exactly how the information above should be communicated varies in different circumstances. We know there are 10,000 to 12,000 efficacy trials per year for serious and life-threatening conditions registered on clinicaltrials.gov.4 The majority of trials (59 percent) test drugs. Fifty-two percent of all subjects are enrolled in Phase 3 trials, and 10 percent of all patients in clinical trials are involved in cardiovascular disease trials. I’ve been a sponsor’s study-responsible physician for Phase 1 studies, a site investigator for Phase 2, 3, and 4 studies, and deeply involved in cardiovascular drug safety for a large pharmaceutical company. The decision as to whether a serious adverse event, including mortality, should be classified as “treatment-related” is often complex, even after review of the source documents and discussions with the investigators. In summary, no one can predict the outcome of the CRS lawsuit. However, given the clarity of the FDA’s guidances for patients and investigators and the large number of patients involved in clinical trials, I don’t think CRS can present a convincing argument that revision of the informed consent guidance is required or that such revision would somehow impact the small percentage of patients who, sadly, experience treatment-related mortality in clinical trials.